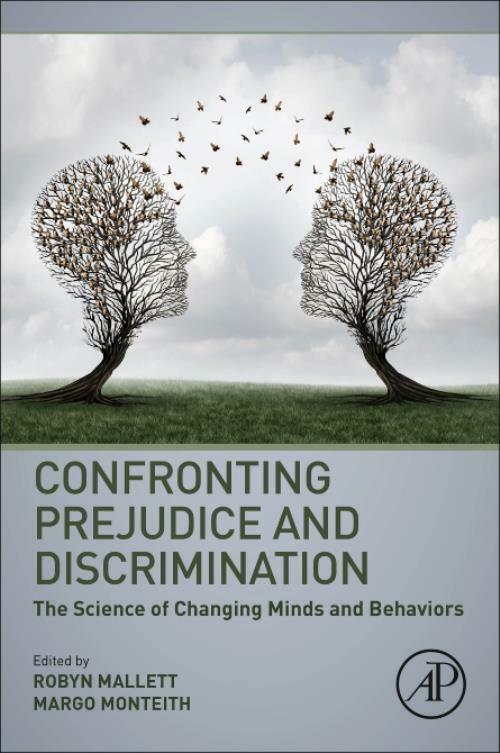 Confronting Prejudice and Discrimination: The Science of Changing Minds and Behaviors focuses on confrontation as a strategy for reducing bias and discrimination. The book covers decision-making and consequences involved in confronting bias, approaches to confrontation, and intervening at the individual level to change norms and institutions. The book synthesizes the research on the psychology of prejudice to help readers understand the type of people who do and don't have a propensity to confront prejudice, the mechanisms employed, and how this knowledge can be adapted for interventions. Topics discuss values and fairness, low versus high threat confrontations, and autonomy-supportive and autonomy-restrictive confrontations. I. Decisions to Confront Bias 1. Confronting intergroup bias: Predicted and actual responses to racism and sexism 2. The CPR Model: Decisions Involved in Confronting Prejudiced Responses 3. The decision to act: Factors that predict women's and men's decisions to confront sexism 4. When do groups with a victimized past feel solidarity with other victimized groups? Margo Monteith, PhD, is a Professor of Social Psychology for the Department of Psychological Sciences at the Purdue University. Dr. Monteith's research examines stereotyping and prejudice, drawing from social psychological methods and theories related to social cognition, attitudes, motivation, emotion, and self-regulation.